POSH Graffiti by Emily Readett-Bayley, will be taking two exciting eco products to the Eco Trail this year. 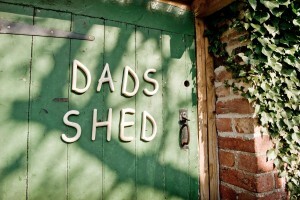 Hand carved wooden typography & signage which we have been making since 1992! We work directly with a wood carving co operative run by rice farmers in Bali who plant fast growing albizia trees around their fields to use in this vital secondary industry helping to maintain their ancient subak agricultural system. “Working Wicker baskets for heavy duty homework” made in the rain forest by the Dayak people of Indonesian Borneo. Both products follow strong eco and fair trade ethics but the POSH Salvage range in particular is linked to a really high profile rain forest and climate change mitigation project. Emily, a partner on “The Katingan Project” has set up wicker weaving workshops in conjunction with PT. R M U, the Indonesian partners who manage the 200 000 hectare forest concession. The baskets are made from rattan grown in jungle gardens on the edges of the rain forest. Rattan grows wild and can be harvested without harming the forest and the Dayak people of Borneo have grown, harvested and exported rattan for thousands of years. Nowadays however they only export the raw material to factories in Java and China via middle men and the commodity price is so low that they have almost given up on this business as illegal logging and forest clearance for palm oil is much more profitable. Our aim is to add value to the product by setting up the workshops and exporting products direct to the market it making the rattan industry a viable competitor to these forest damaging industries. We will also be part of the wider effort to conserve the virgin forest and save one of the last wild populations of orangutans that live in this region. All the rattan harvested is used, even the darker “waste rattan” that grows underwater. This gives the baskets beautiful natural variations unlike the factory produced baskets which only use standardised raw material and are treated with toxic chemicals before dyeing. As a partner, Emily Readett-Bayley is part of the one of the most important carbon dioxide reduction projects in the world. 30% of the globe is still covered in forest and stopping further deforestation and renewing damaged forest areas is the CHEAPEST and EASIEST way to reduce global carbon dioxide emissions immediately. 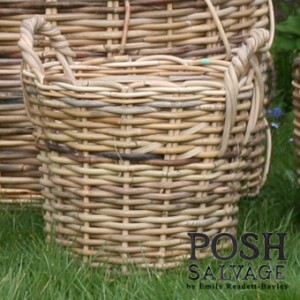 Emily Readett-Bayley will be offering a 10% discount on their online price to anyone ordering POSH Salvage baskets at the show.